Pope Francis, generally speaking, has thus far chosen to concentrate his papacy on social justice issues, as opposed to doctrinal or liturgical issues. This has led to Francis being hailed as a hero to many on the left, while it has made some conservative supporters of St. John Paul II and Pope Emeritus Benedict XVI disappointed and uncomfortable, even as they love and appreciate his person and gestures of mercy and compassion. Some find his teachings difficult to embrace, especially those concerning business and the economy. Pope Francis has spoken of building bridges as part of what it is to be Christian, but aspects of his message seem to be just constructing walls between the Holy Father and groups of the faithful. The Business Francis Means aims to break through these walls, showing that Pope Francis has something to say to all Christians. His message, taken as a whole, keeps us from dividing the “seamless garment” of Christ: he reminds the conservatives of the problems of inequality and poverty, and the liberals that social justice is not enough – the Church is the bride of Christ, not a social institution or an NGO. 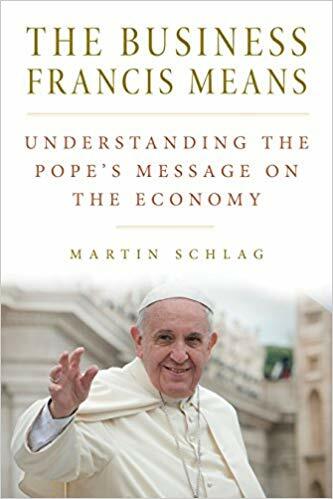 Monsignor Martin Schlag summarizes and explains the message of Pope Francis on business and the economy in this compact volume. The Business Francis Means will be of great interest to the Catholic layperson, especially one involved in political or economic life.